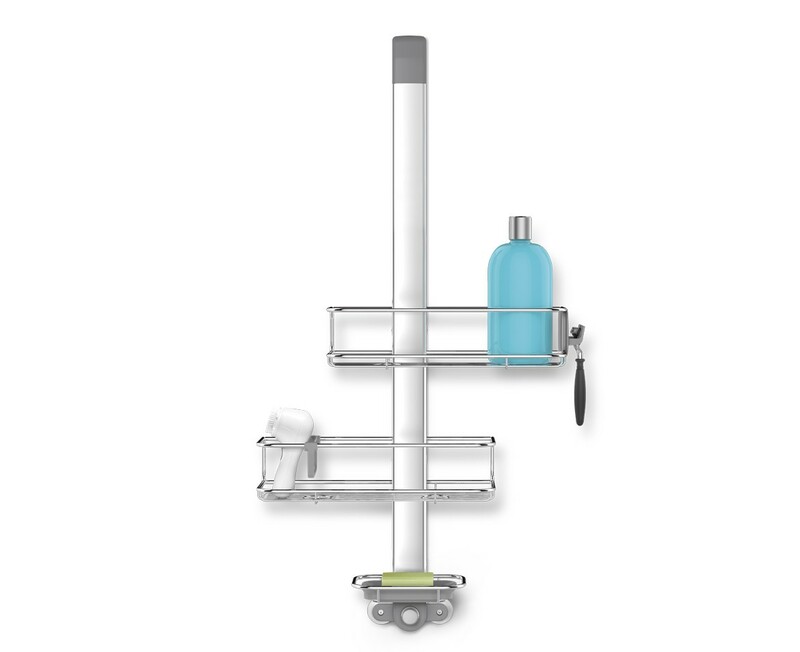 Organise shower clutter with our over door shower caddy. Installation is easy — just hook the adjustable hanger over the shower door and it automatically tightens for a secure grip. It has fully adjustable shelves that are easy to reposition with quick-adjust dials. An innovative divider and accessory hooks are designed to hold bulky modern tools like facial cleansing brushes and oversized razors. The quick-dry soap dish drains water completely so soap stays dry and lasts longer. 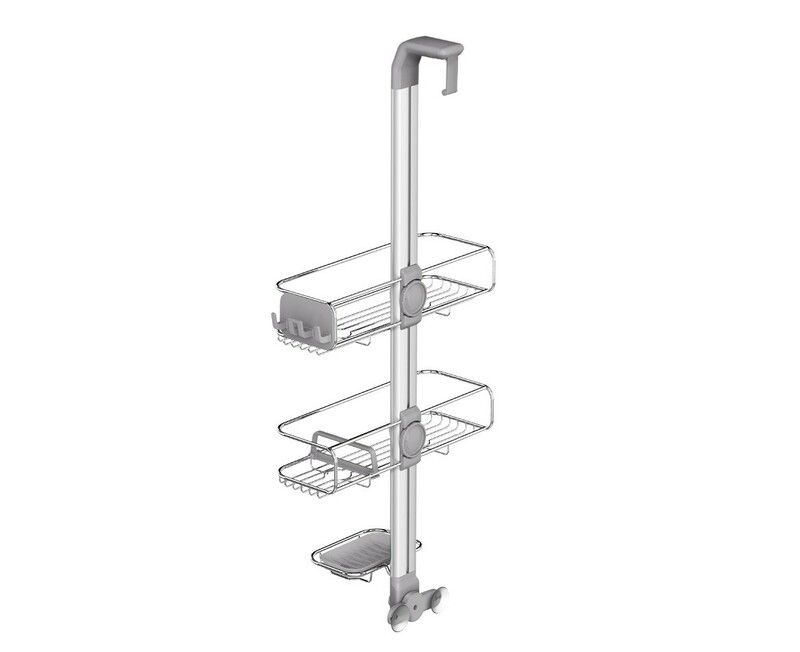 Constructed from stainless steel and anodised aluminIum so it is rust-proof and easy to clean. Suction cups support from below. Looks good and is very practical - holds everything you might want in a shower. Far better than anything else I've seen. The mechanism as the top (which steadies the device) could have a stronger grip as it can slip. Hi, We are glad to hear that you are impressed with the stability of the shower caddy. If this model is not the right size we have a few other models that may be suitable. Was. Hesitant to buy at first because of price but so glad we did, does exactly what it said on the tin! Six months on and it looks as good today as it did on day one.. Would definitely recommend to anyone and because you only need to buy once it's actually well worth the money. Excellent product. 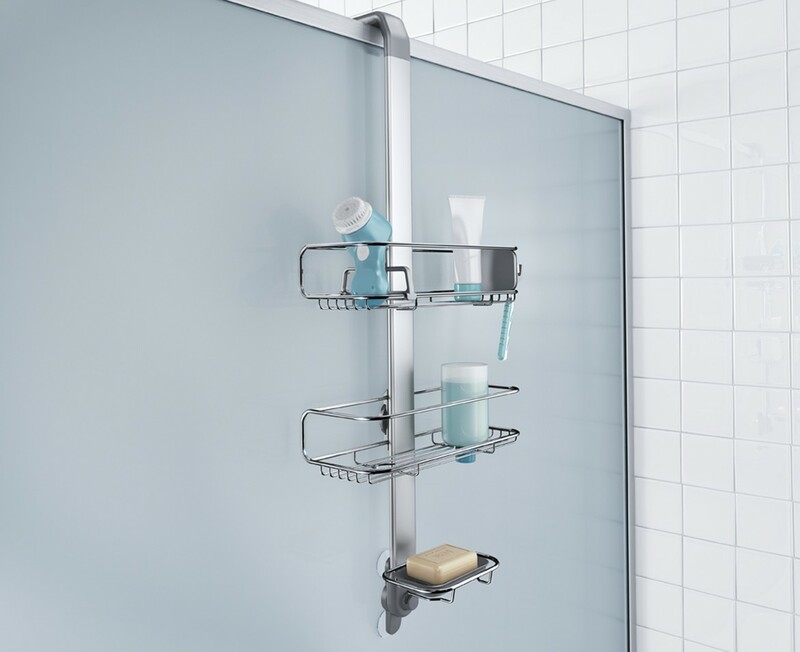 Organized our shower products to one spot, easy to clean and fit out space perfectly. Well made - not your typical shower caddy product.